Select the ACT! 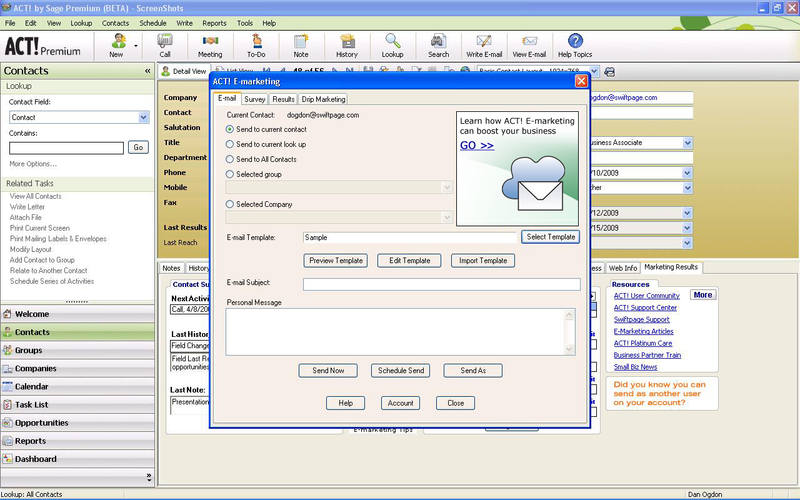 E-marketing icon from the Contact view in ACT!. database and track your messages. 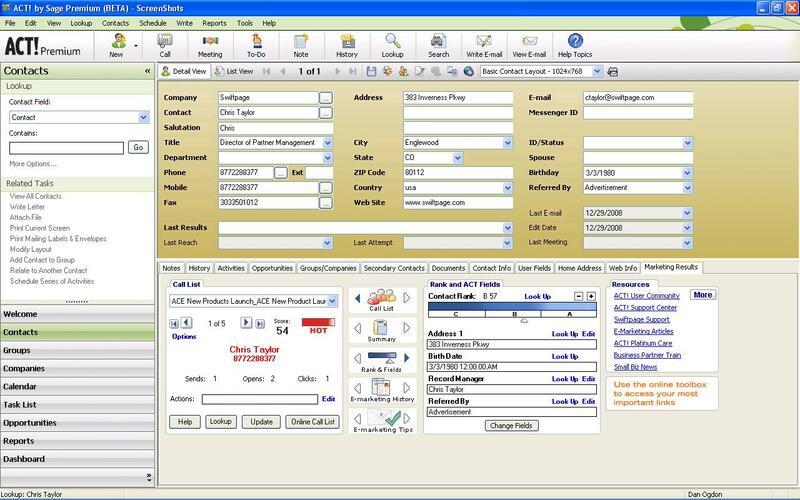 You can also schedule to send, or choose to send as a different user or the record manager of each contact. 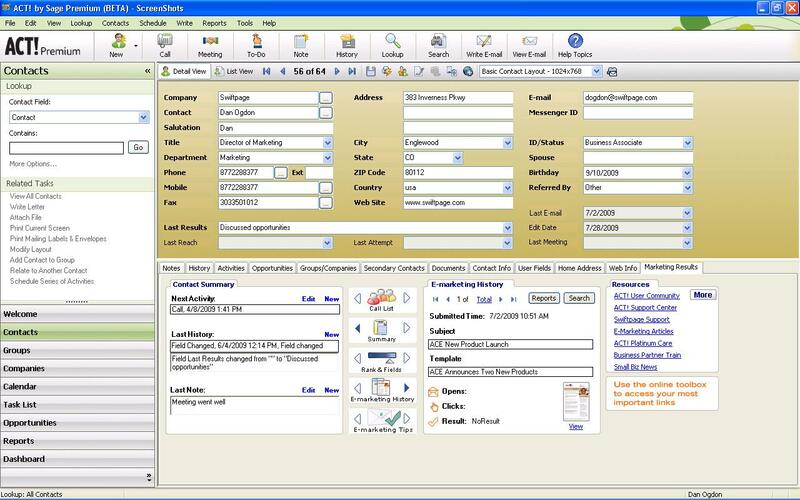 Surveys and Web Forms from Swiftpage allow you to gather valuable information and map your survey responses directly back to specific fields in your database. recipients’ interactions with your message. The Marketing Results Tab tells your sales team who to call and what to talk about in one view. automatically delivered to your ACT! contacts. Set up an Autoresponder emails to automatically contact your survey respondents when they complete your surveys. 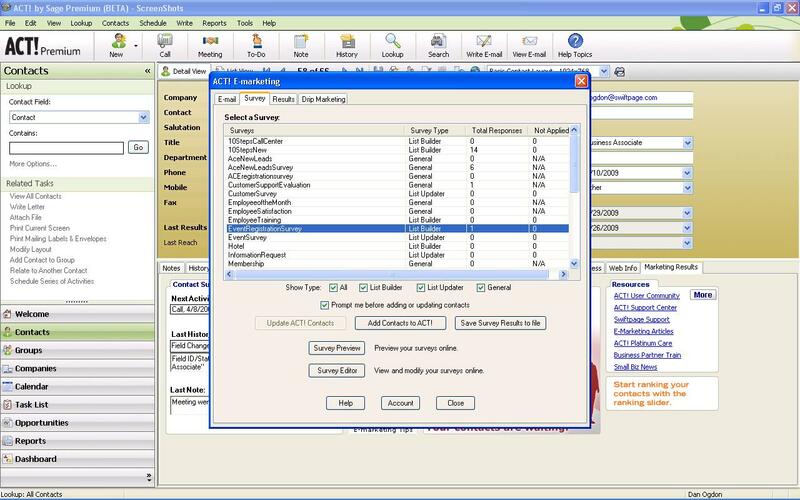 And with Drip Marketing Autoloader survey respondents are automatically loaded into a Drip Marketing Campaign. Swiftpage offers several tools to ensure that your emails get delivered with ISP management, domain protection, blacklist monitoring, Swiftpage Spam Check, and SPF record creation.